So why do I keep beating my head against the wall and venturing into a most challenging environment? I do it for the beauty of West Virginia and the people who make the event so much fun. Dirt Rag Magazine has been around for over 25 years and was the brain child of Maurice and Elaine Tierney. 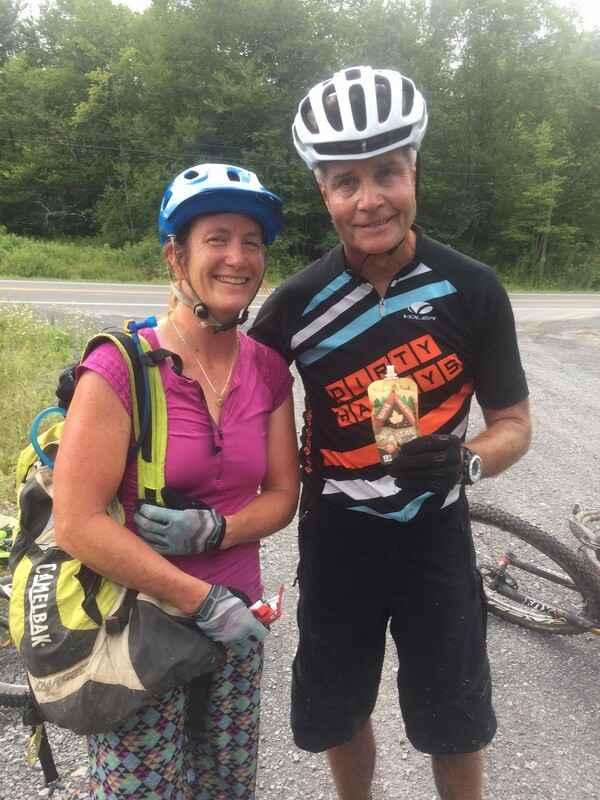 I am happy to say that I have known MO a long time and have had many enjoyable riding days with him along with cohorts like Karl Rosengarth and Jeff Wuerthele. 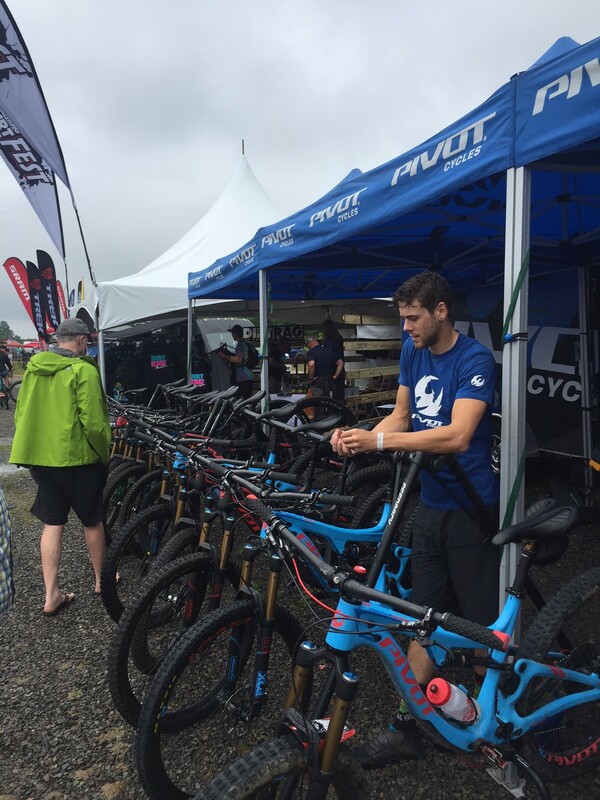 Dirt Rag arranged all the logistics with Big Bear which is a formidable task along with arranging a whole myriad of suppliers in the bike industry to attend with demo equipment. Along with great food by Doan’s Bones Bar b Que http://www.doansbones.com and the fabulous pizza supplied by Liz Klevens, the event was lacking for nothing. The movies and the beer supplied by Green Flash http://www.greenflashbrew.com and Oskar Blues http://www.oskarblues.com did not disappoint and the whole weekend went off without a hitch. 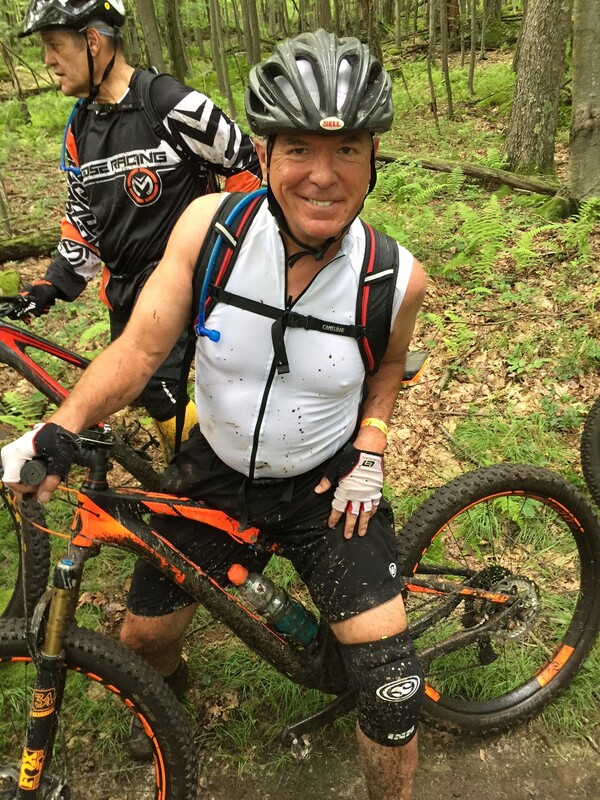 No one seemed to mind the muddy but steadily improving conditions. But what really brings us back year after year? The People!! 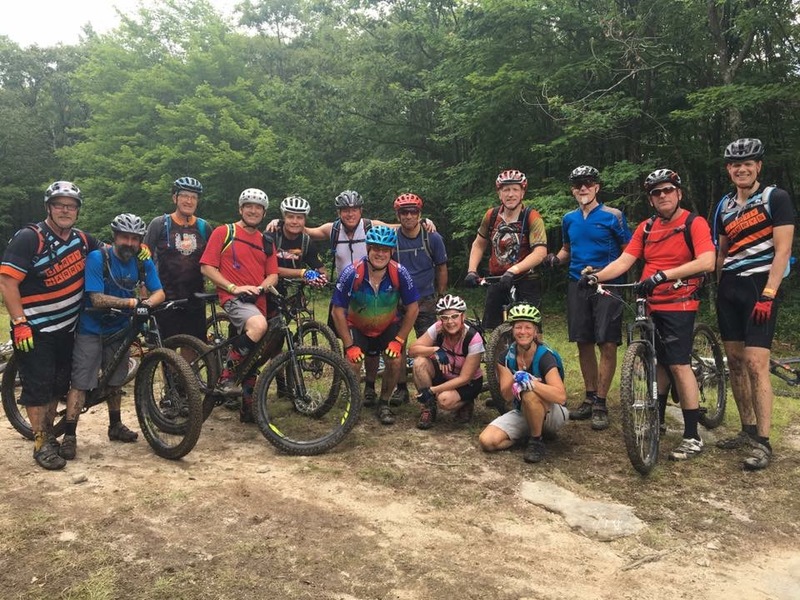 The mountain bike community is a friendly lot of “crunchy”, ” earthy” people who love the outdoors and can really ride the challenging conditions. 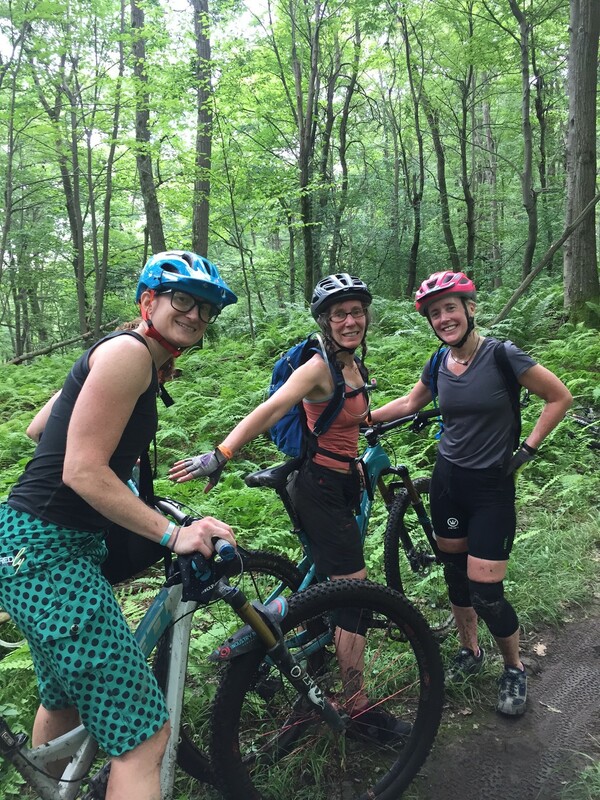 It is not often that you see a group of ladies like Val from Asheville, NC, Chrissy from the Canaan Valley and Stephanie from the burg, pound fearlessly over muddy, rocky obstacles with smiles on their faces and laughter all around. Mountain bikers know how to have fun and at the end of the day, know how to kick back and enjoy the fading sunlight and the roaring fire complete with stories about the adventures of the day sipping a cold IPA. 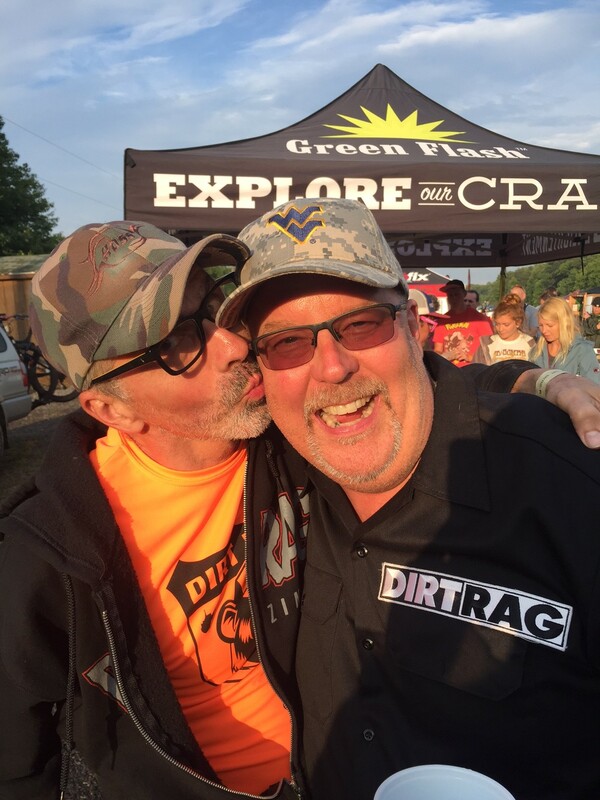 I love my crew and also love to gather with the “tribe” at events like Dirt Fest. The Chetlins, the Girones, and Sy were missing but they were in Bend riding. So, they had an excuse. Our local crew makes a contribution to the scene with characters like the Shark, Bob Bannon and John O’Toole- veterans of the sport, Johnny Mac and Bob Anderson- really skilled riders, Pete Hilton, Mike Connors and his son Riley-fun, good riders, and Angelo Ross- the originator of http://www.naturalcause.org . 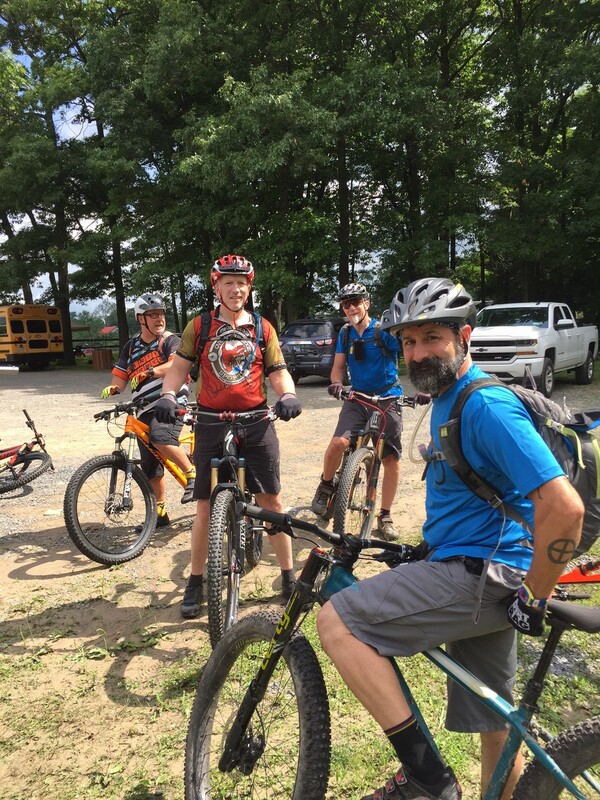 John Casuccio, Joe D’Oro, Michele with an “L”, Michelle with two “Ls”, all skilled MTB folks, and of course Jeff Balicki who got MVP for the weekend riding the heinous rocks and roots just out of knee replacement surgery three months ago. 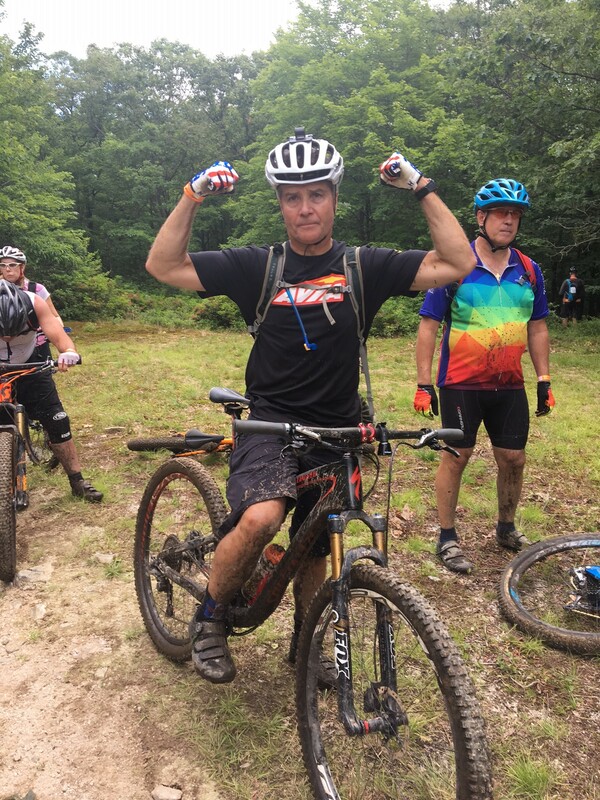 If you ever saw passion for a sport, look no further than this affable barrister from Pittsburgh. He worked hard to get back on the trail and will be ready for ski season for sure. It’s the people…..people!!!! That is why we ride. 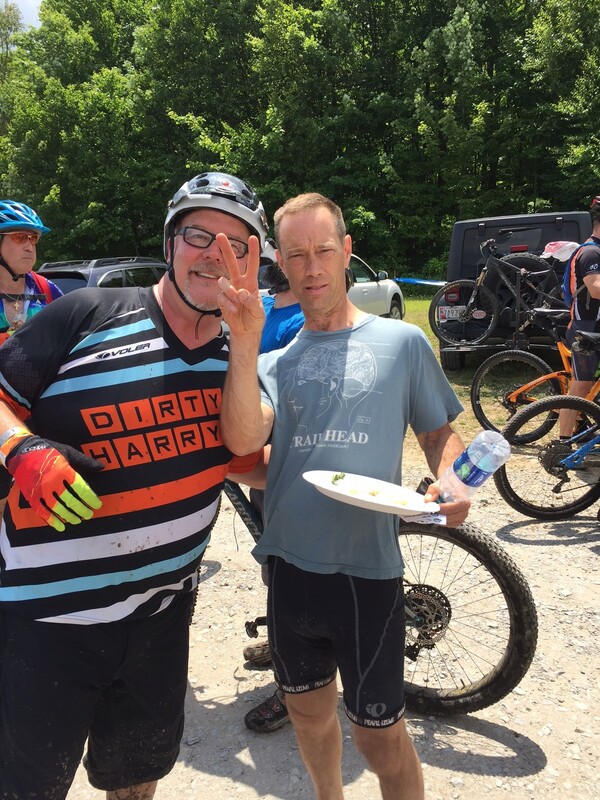 Sure it is challenging, it is hard, it rains like a cow peeing on a flat rock, but the people of Dirt Rag and the folks of the eastern mountain bike community make it fun with the camping stories, the crackling fires, and the beers. Barry and the guys from Dirty Harry’s make sure all of us ride in style and repair the damage after weekends like this. The local shop is part of the community and we should all support them. 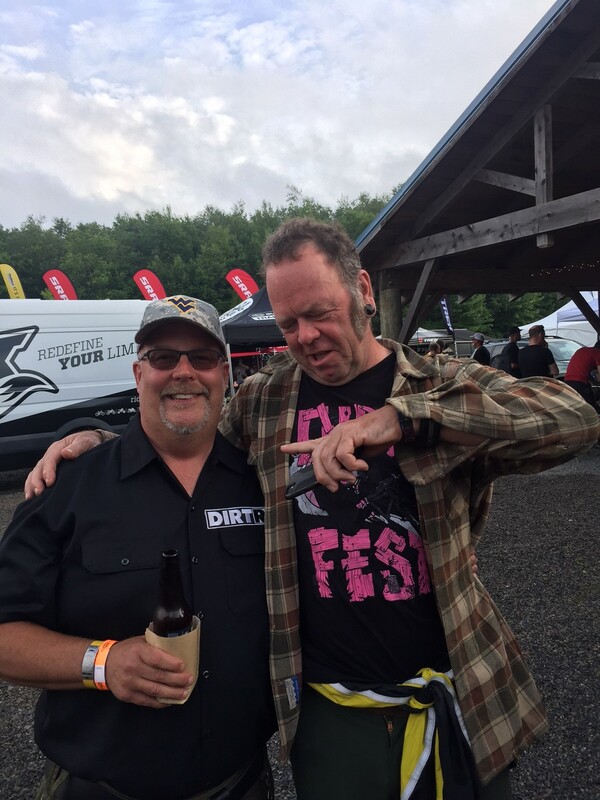 So if you ride mountain bikes, find events like Dirt Fest and support the cause. 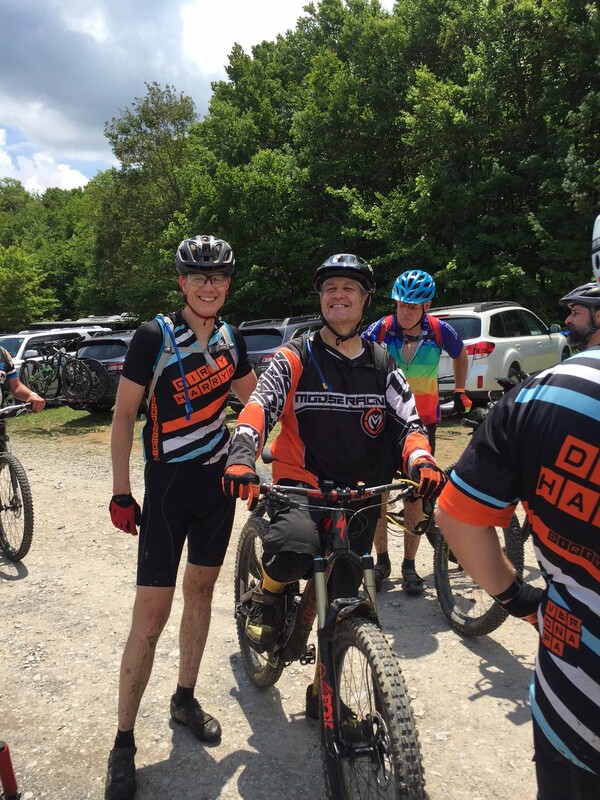 You will not only have a lot of fun no matter what the weather does, but you will make friends for a lifetime sharing the passion of riding and the truly spectacular trails. Thanks for reading. This entry was posted in American Culture, Bicycling, Cycling, Friendship, Mountain Biking, outdoor activities, outdoor sports, Outdoors, trails, travel and tagged Big Bear Lake and Campground, Dirt Rag Magazine, Dirty Harry's Bike Shop, Doan's Bones Bar-b-Que, Green Flash Brewery, Mountain Biking in West Virginia, naturalcause.org, Oskar Blues Brewery, Sue Haywood, Trailflow Bikes. “Take me Home Country Road”, from a true Born and Bred Mountaineer!! 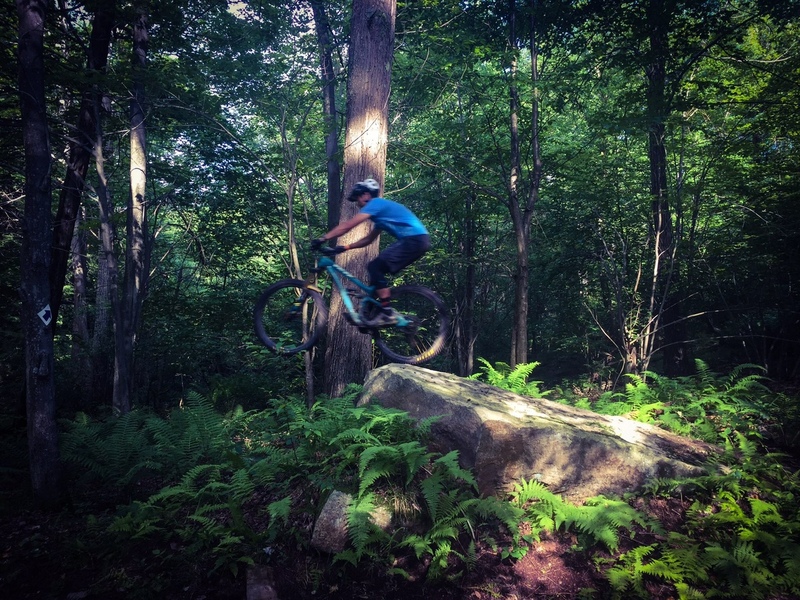 you mike mountain biking look like so much fun. I got to put it on the new things list.